Son of François Peccatte and nephew of Dominique, Charles Peccatte was born into a family of great bow making pedigree. Following his father's death in 1851, he began his apprenticeship in 1862 to his stepfather Auguste ...Read More Lenoble, and moved to the firm of J.B. Vuillaume in 1865. There he worked under François Nicolas Voirin for the next five years, producing workshop bows that imitate Vuillaume's work almost perfectly. 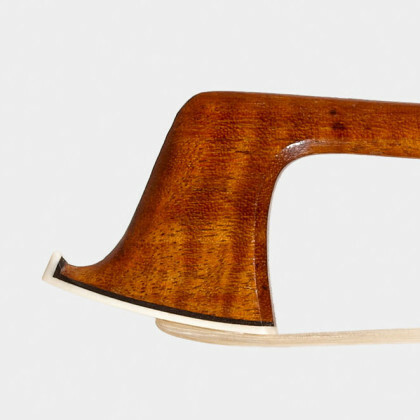 - The auction record for this maker is $42,000 in May 2013, for a violin bow.